One of our most disappointing parts of kidding season 2018 was when Silver Belle had twin bucks bred to Scotchbriar Most Emphatic! 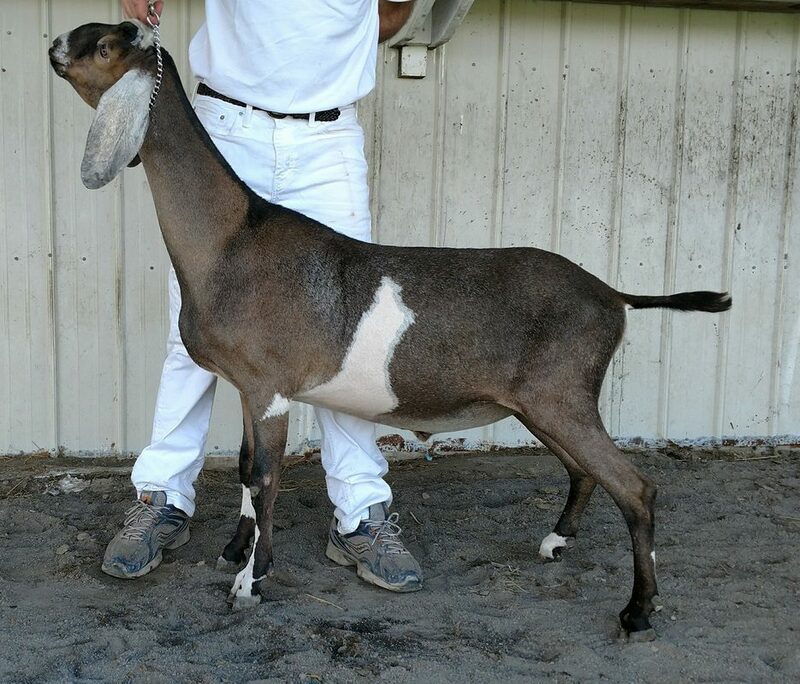 However, when her littermate sister who was sold to our friends at Sapfir Nubians had twin does bred to our same buck, we jumped at the chance to purchase one! 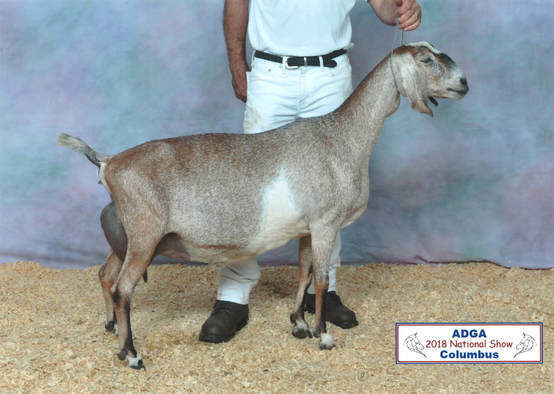 This breeding is one I have thought long and hard on, and I LOVE the potential in these genetics. In addition, Liberty freshened with one of the most impressive udders we have ever bred with TREMENDOUS height to that rear udder and extension to the fore and at such an early age! If that is not enough, her teat placement is near ideal. We have VERY high hopes for Freedom and look forward to watching her grow! Pictures of Freedom & Liberty are used with permission and are courtesy of Sapfir Nubians.